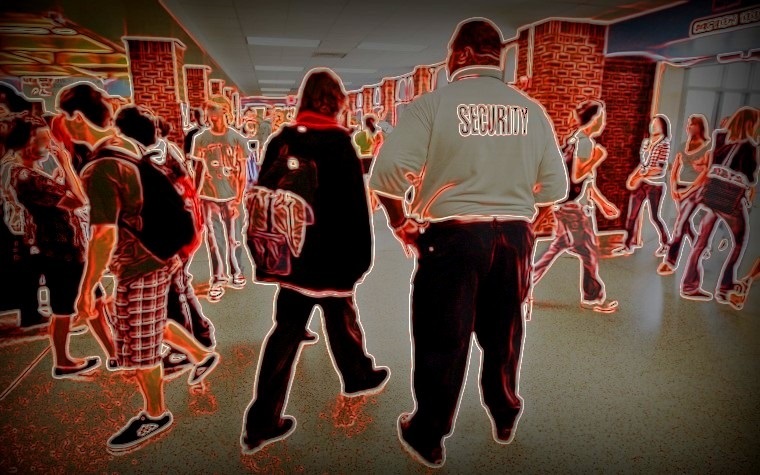 The report suggests 'best practices' for school security. Born out of a legislative workgroup created after the December 2012 Sandy Hook school shootings, the Illinois School Security and Standards Task Force recently released its first report of recommendations to the General Assembly and governor. Composed of parents, legislators, law enforcement, first responders, school official representatives, engineers, and security experts, the group held a number of public hearings to gather information concerning security within Illinois schools. From that information, minimum standards for securing schools were crafted and the task force submitted its preliminary findings on Jan. 1. The initial report outlines two legislative initiatives for which the working group is seeking approval during the upcoming session. The first asks to extend the task force’s duties for an additional year. This would allow for a review of new and changing issues, while also providing districts with updated information, resources, and technical assistance. The second proposal would change one of the required six emergency-preparation drills currently carried out by schools each year by making it unscheduled and at random. The rationale is this would give first responders and emergency managers the ability to effectively gauge the readiness of students and staff to react to such a threat. In addition to the legislative measures, the task force also presented a series of “best practices” for schools to consider. The suggestions include concepts such as sharing private student information with local officials and law enforcement when facing potential security situations, building trust with students to encourage them to come forward should they be privy to perceived or actual threats, and conducting regular training with first responders. Other recommendations call for the creation of a district “threat team,” looking at security industry ideas for retrofitting buildings, and adopting action procedures such as “Run, Hide, Fight” measures adopted by the U.S. Department of Homeland Security. Task force members had the difficult duty of trying to bridge safety practices currently in place at the more than 850 school districts throughout Illinois with new suggestions that don’t impede security goals already undertaken at many schools. The final report is due July 1st and is expected to retain the suggestions in the document as only recommendations, and not requirements or mandates. The task force’s preliminary report can be found on the ISBE website. Schwarm recently joined with members of the Missouri School Board Association, as well as a like-minded group of law enforcement and education officials in St. Louis to review school safety and discuss findings included in the Illinois report. The roundtable discussion on Jan. 28 focused on practical observations aimed to inform parents, students, and teachers of potential readiness plans that can be implemented to provide safe learning environments. "We have been working hard in Illinois on the school safety issue, but this event emphasizes that this is a national issue,” Schwarm indicated. "It was invaluable having the input from law enforcement from two different states and, of course, we learned much from our sister school board organization in Missouri." A podcast of “The School Safety and Security Symposium: When Will You be Tested?” hosted by Ittner Architects is available here (video begins at 11:25). IASB, meanwhile, is developing plans to provide education and training on school safety issues at the Joint Annual Conference in November. At a minimum, the training would include a strand of panel sessions on various topics regarding school and student safety, according to Schwarm. More information about that event will be announced in the next few months.